Yik Yak’s HTTPS communication for iOS is actually fine […] so what’s the problem? The vulnerability begins in the fact that Yik Yak’s sole means of user identification is one string; the userID. There are no passwords. 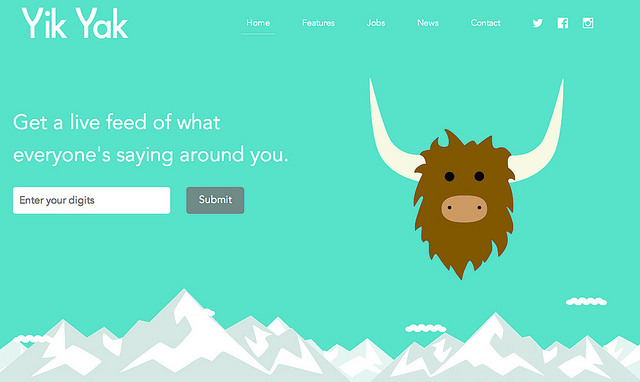 Yik Yak, like many apps, does not only communicate with its own server API. It makes other requests to the Internet; external requests from mobile apps include things like advertising, user tracking, and use of other third party libraries. By configuring an iPhone to use a proxy, we were able to analyze all the traffic between the device and the internet. In the case of Yik Yak, we discovered that the app makes calls to a 3rd party advertising/analytics tool called Flurry. Unfortunately, Flurry, by default, disables HTTPS and sends all traffic over plaintext HTTP. As a result, the [Yik Yak] userID is leaked to anyone who happens to be watching network traffic. [On Android] the checkServerTrusted in the X509TrustManager interface is a method that is supposed to throw an exception if an invalid certificate is provided to the client (the app). The YY app has replaced the default X509TrustManager with a custom class that does nothing when an invalid certificate is sent by the server. The internet is scary. Consider keeping private thoughts to yourself.